Antifascist Calling...: Why Is the State Department 'Arming' Mexico's Intelligence Agencies with Advanced Intercept Technologies? Why Is the State Department 'Arming' Mexico's Intelligence Agencies with Advanced Intercept Technologies? Amid recent reports that the bodies of four Mexican journalists were discovered in a canal in the port city of Veracruz, less than a week after another journalist based in that city was found strangled in her home, the U.S. State Department "plans to award a contract to provide a Mexican government security agency with a system that can intercept and analyze information from all types of communications systems," NextGov reported. Since President Felipe Calderón declared "war" against some of the region's murderous drug cartels in 2006, some 50,000 Mexicans have been butchered. Activists, journalists, honest law enforcement officials but also ordinary citizens caught in the crossfire, the vast majority of victims, have been the targets of mafia-controlled death squads, corrupt police and the military. Underscoring the savage nature of another "just war" funded by U.S. taxpayers, last week The Dallas Morning News reported that "23 people were found dead Friday--nine hanging from a bridge and 14 decapitated--across the Texas border in the city of Nuevo Laredo." The arcane and highly-ritualized character of the violence, often accompanied by sardonic touches meant to instill fear amongst people already ground underfoot by crushing poverty and official corruption that would make the Borgias blush, convey an unmistakable message: "We rule here!" "The latest massacres are part of a continuing battle between the paramilitary group known as the Zetas and the Sinaloa cartel," the Morning News averred. "The violence appears to be part of a strategy by the Sinaloa cartel to disrupt one of the most lucrative routes for drug smugglers by bringing increased attention from the federal government." According to investigators the "two warring cartels are fighting for control of the corridor that leads into Interstate 35, known as one of the most lucrative routes for smugglers." But as Laura Carlsen, the director of the Americas Program pointed out last month in CounterPunch, "In a series of 'Joint Operations' between Federal Police and Armed Forces, the Mexican government has deployed more than 45,000 troops into various regions of the country in an unprecedented domestic low-intensity conflict." The militarization of Mexican society, as in the "Colossus to the North," has also seen the expansion of a bloated Surveillance State. Carlsen averred that when the Army and Federal Police are "deployed to communities where civilians are defined as suspected enemies, soldiers and officers have responded too often with arbitrary arrests, personal agendas and corruption, extrajudicial executions, the use of torture, and excessive use of force." But expanding the surveillance capabilities of secret state agencies as the State Department proposes in its multimillion dollar gift to the Israeli-founded firm, Verint Systems, far from inhibiting violence by drug gangs and the security apparatus, on the contrary, will only rationalize repression as new "targets" are identified and electronic communications are data-mined for "actionable intelligence." Indeed, The New York Times reported last summer that "after months of negotiations, the United States established an intelligence post on a northern Mexican military base." Although anonymous "American officials" cited by the Times "declined to provide details about the work being done" by a team of spooks drawn from the Drug Enforcement Administration, the CIA and "retired military personnel members from the Pentagon's Northern Command," they said that "the compound had been modeled after 'fusion intelligence centers' that the United States operates in Iraq and Afghanistan to monitor insurgent groups." Such developments are hardly encouraging considering the role played by "fusion centers" here in the heimat. As the ACLU has amply documented, "Americans have been put under surveillance or harassed by the police just for deciding to organize, march, protest, espouse unusual viewpoints, and engage in normal, innocuous behaviors such as writing notes or taking photographs in public." In Mexico, the results will be immeasurably worse; with corruption endemic on both sides of the border, who's to say authorities won't sell personal data gleaned from these digital sweeps to the highest bidder? Only this time, the data scrapped from internet search queries, emails, smartphone chatter or text messages grabbed by bent officials won't result in annoying targeted ads on your browser but in piles of corpses. While Obama administration officials hypocritically washed their hands of responsibility for failing to clamp-down on what journalist Daniel Hopsicker christened The New American Drug Lords, an old boys club of dodgy bankers, shady investment consultants, defense contractors and other glad handers, the violence following drug flows north like a swarm of locusts is fueled in no small part by arms which federal intelligence and law enforcement allowed to "walk" across the border. Indeed, as Hopsicker pointed out in MadCow Morning News: "Ten years ago Miami Private Detective Gary McDaniel, a 30-year veteran investigator for both Government prosecutors and attorneys for major drug traffickers, educated me on the basics of the drug trade." "'Every successful drug trafficking organization (DTO) needs four things to be successful,' he said. He ticked each one off on his fingers: 'Production, distribution, transportation, and--most important of all--protection'." To McDaniel's list we can add a fifth element: intelligence gleaned from the latest advances in communications' technologies. During the 1980s, as the Reagan administration waged its anticommunist crusade across Central and South America, the CIA forged their now-infamous "Dark Alliance" with far-right terrorists (our "boys," the Nicaraguan Contras), Argentine, Bolivian and Chilean death-squad generals and the up-and-coming cocaine cartels who had more on their minds than ideological purity. As Narco News investigative journalist Bill Conroy reported, "A top enforcer for the Sinaloa drug organization and his army of assassins in Juarez, Mexico--responsible for a surge in violence in that city that has led to thousands of deaths in recent years--may well have been supplied hundreds, if not thousands, of weapons through an ill-fated US law-enforcement operation known as Fast and Furious." But which agency has the wherewithal to guarantee that weapon flows from the United States fall into the right hands? More than a few analysts believe that Fast and Furious was an "intelligence" gambit overseen by the CIA. "In fact," Conroy wrote, "it may well have been co-opted and trumped by a covert U.S. intelligence agency operation, such as one run by CIA, that is shielded even from most members of Congress--possibly even the White House, if it was launched under a prior administration and parts of it have since run off the tracks on their own." Conroy revealed that enforcer, Jose Antonio Torres Marrufo, who was arrested in February by Mexican authorities, "is now the subject of a 14-count US indictment unsealed in late April in San Antonio, Texas, that also charges the alleged leaders of the Sinaloa organization (Joaquin Guzman Loera, or El Chapo; and Ismael Zambada Garcia, or El Mayo) and 21 other individuals with engaging in drug and firearms trafficking, money laundering and murder in 'furtherance of a criminal enterprise'." According to officials, Marrufo was allegedly responsible for the murders of some 18 patients at a Juárez drug treatment center in 2009. However, the significance of the gangster's arrest may be overshadowed by the additional disclosure that his close associates, Eduardo and Jesus A. Miramontes Varela "worked for the Sinaloa Cartel when they became informants for the FBI in 2009." "Under Fast and Furious," Conroy wrote, "the nation's federal gun-law enforcer, ATF, in conjunction with a task force composed of several other federal agencies, including the FBI, allowed nearly 2,000 weapons to be smuggled into Mexico." Amongst the firearms allowed to "walk," according to multiple published reports, were AK-47 assault rifles, Barrett .50 caliber sniper rifles, .38 caliber revolvers and FN Five-seven automatic pistols. Most of the arms purchased with ATF and Justice Department approval went to the Sinaloa or other drug cartels and have since turned up at some 170 crime scenes in Mexico. Responding to strong objections from his own agents, Voth wrote a threatening email to disgruntled officers in March 2010: "I will be damned if this case is going to suffer due to petty arguing, rumors, or other adolescent behavior. I don't know what all the issues are but we are all adults, we are all professionals, and we have an exciting opportunity to use the biggest tool in our law enforcement tool box. If you don't think this is fun you are in the wrong line of work--period!" Conroy also informed us that "deadly weapons were allowed to 'walk' across the border, where they were put into the clutches of criminal organizations, such as those overseen by alleged Sinaloa enforcer Marrufo, so that US law enforcers could supposedly later trace the trail of those guns to the so-called kingpins of Mexico's criminal organizations." There was just one small catch. "A Feb. 1, 2012, memo drafted by staff for [U.S. Senator Charles] Grassley and [U.S. Rep. Darryl] Issa, thickens the plot, indicating that there were, in fact, two FBI informants involved with purchasing weapons from [Manuel Celis] Acosta, [presumably the "main target" of Fast and Furious] and ATF had no clue that these so-called 'big fish,' the high-level targets of Fast and Furious, were, in fact, working for a sister agency." "During the course of this separate investigation, the FBI designated these two cartel associates as national security assets. [essentially foreign-intelligence agents, or informants]. In exchange for one individual's guilty plea to a minor count of 'Alien in Possession of a Firearm,' both became FBI informants and are now considered to be unindictable. This means that the entire goal of Fast and Furious--to target these two individuals and bring them to justice--was a failure. ATF's discovery that the primary targets of their investigation were not indictable was 'a major disappointment'. Brilliant, right? If one were to fall for "conspiracy theories," one would almost believe that U.S. secret state agencies, like their Mexican counterparts, were favoring one narcotrafficking gang (the Sinaloa cartel) over their rivals, the equally violent and sinister group Los Zetas or the Juárez cartel founded by self-described "Lord of the Heavens," Amado Carrillo Fuentes. In fact, it wasn't only the ATF-DEA-FBI that allowed guns to "walk" across the border into the hands of state-connected killers. To the list of the clueless, add the Pentagon. In an earlier report, Conroy disclosed, citing State Department cables published by the secrecy-shredding web site WikiLeaks, that grenades used to attack the Televisa TV station and the U.S. Consulate in Monterrey in 2008-2009 "involved military grade explosives made in the USA that somehow found their way to Mexico." A second cable confirms that "U.S. military munitions sold in the 1990s to a foreign military were subsequently diverted to Mexican narco-traffickers." Narco News also reported that the State Department cables confirm "that the U.S. government is very aware that much of the heavy firepower now in the hands of Mexican criminal organizations isn't linked to mom-and-pop gun stores, but rather the result of blowback from U.S. arms-trading policies (both current and dating back to the Iran/Contra era) that put billions of dollars of deadly munitions into global trade stream annually." Indeed, "bellicose government policies, such as the U.S.-sponsored Mérida Initiative, that are premised on further militarizing the effort to impose prohibition on civil society only serve to expand the profit margin on the bloodshed." In that case then, the so-called "War on Drugs" is really a war over who controls the drug flow and the fabulous profits derived from the illicit trade. While Colombia continues to be the principle source of processed cocaine entering Europe and the United States, despite some $7.5 billion dispensed to that country's repressive military and police apparatus under Plan Colombia, wholesale distribution of narcotics entering the U.S. are now controlled by Mexican DTOs. It is a demonstrable fact that Plan Colombia failed to stop the tsunami of narcotics entering the U.S. and that "success" or "failure" in that enterprise was besides the point. As multiple analysts and investigative journalists across the decades have documented, U.S. intelligence agencies, principally the CIA, have cultivated ties and operational links to DTOs and their ruling class enablers, favoring cartels that advanced U.S. geopolitical goals whilst targeting those perceived as liabilities. As researchers Oliver Villar and Drew Cottle pointed out in Cocaine, Death Squads and the War on Terror: U.S. Imperialism and Class Struggle in Colombia: "Among the compradores, short-term arrangements were made on coca production that paved the road for longer-term agreements of all kinds, one of which supported the emergence of the narco-bourgeoisie, whose business operations had remained relatively independent." Villar and Cottle averred: "Emerging narco-capitalism permeated Colombia's financial system, creating financial connections throughout the Colombian economy. 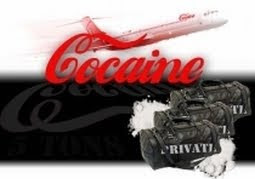 The active participation of banks in the cocaine industry greatly strengthened financial connections among the narco-bourgeoisie. The Cali cartel metamorphosed into numerous legitimate business enterprises such as pharmaceutical companies and real estate firms to operate the cocaine trade, whereas the Medellín cartel focused on money-laundering." This production and distribution system was highly unstable however, and "created fierce competition among traffickers with connections to the Colombian ruling class," Villar and Cottle wrote. "The Medellín cartel waged a desperate battle against enterprises that refused to enter into an alliance with them. All manner of underhanded methods, from blackmail to murder, were employed in this battle. The violent liquidation of rival enterprises, many who collaborated with the CIA, provoked retaliation from the United States which declared a war on drugs that targeted Pablo Escobar." As with Plan Colombia, under terms of the Mérida Initiative, the U.S. Congress has authorized some $1.6 billion for Mexico and Central American states blown away by the narcotics hurricane. However, much of the funds doled out to Mexican military and police organizations never leave the United States. Instead, as with other "foreign aid" boondoggles these funds flow directly into the coffers of giant U.S. defense firms and will be used to purchase aircraft, surveillance equipment and other hardware produced by the U.S. Military-Industrial Complex. According to some estimates, approximately $49.4 billion annually pour into the accounts of major DTOs, the Congressional Research Service (CRS) reported back in 2007. However, most studies of global drug trafficking fail to analyze the benefits accrued by major U.S. financial institutions--banks, the stock market, hedge funds, etc.--who have been the direct beneficiaries of the $352 billion in annual drug profits "absorbed into the economic system," as The Observer reported in 2009. "In a nutshell," Villar and Cottle wrote, "the war of drugs and terror is part of a counterrevolutionary strategy designed to maintain rather than eliminate the economic conditions that allow the drug trade to thrive." That pattern is being replicated today in Mexico. "From Reagan to Obama, U.S. covert intervention has, paradoxically, only accentuated the social violence and systematized the production and distribution of cocaine." Corporate grifters, profiting on everything from weapons' sales to surveillance kit have names. In the context of the Mérida Initiative, one firm stands out, the Israeli-founded spy shop Verint Systems Inc.
Like the "War on Terror," the "War on Drugs" is predicated on the fallacy that "persistent situational awareness" obtained through the driftnet surveillance of electronic communications will give secret state agencies a leg-up on their adversaries. Better think again! As Villar and Cottle pointed out, "the 1994 discovery of a computer owned by members of the Cali cartel offered clues on the complexities of the system and illustrated the technological sophistication of Colombia's narco-economy." Indeed, the $1.5 million IBM AS400 mainframe "networked with half a dozen terminals and monitors and six technicians overseeing its operations," and its "custom-written data-mining software cross-referenced the Cali phone exchange's traffic with the phone numbers of American personnel and Colombian intelligence and law enforcement officials." That network was "set up by a retired Colombian army intelligence officer," a fact which the Colombian government denied despite strong evidence to the contrary. And when Colombian officials "established a toll-free hotline for information about the Cali cartel leaders," Villar and Cottle reported that a "former high-level DEA official said: 'All of these anonymous callers were immediately identified, and they were killed." By today's standards, that IBM mainframe is a throwback to the stone age. With advanced communications and encryption technologies readily available to anyone, and with any number of dodgy spy firms specializing in everything from the mass harvesting of information from social networks to the installation of malware on personal computers and GPS smartphone tracking as the WikiLeaks Spyfiles revealed, only a fool--or a State Department bureaucrat--would believe that weaponized spy kit won't fall into the hands of billion dollar organized crime groups. Yet that's exactly what Washington plans to do. In the NextGov report cited above, we were informed that the State Department's "Bureau of International Narcotics and Law Enforcement Affairs, in a contract notice published late Friday, said it will fund what it called the Mexico Technical Surveillance System for use by that country's Public Security Secretariat to 'continue to help deter, prevent and mitigate acts of major federal crimes in Mexico that include narcotics trafficking and terrorism'." The contract proposal specifies that "all awards will be based on the following criteria in order of importance for 1) Technical Approach/Understanding/Personnel, 2) Corporate Experience, 3) Past Performance and 4) Price. Technical merit (captured in the three (3) technical evaluation factors enumerated above, taken together) is significantly more important than cost/price." But as NextGov reported while the procurement, at least on paper, is "competitive," the State Department "came close to ruling out any other bidder except Verint with the caveat that 'the new equipment must function seamlessly with the existing in a single system or be entirely replaced'." That pretty much "levels the playing field" for the Israeli firm and the suite of surveillance tools it offers, the Reliant Monitoring System, which "intercepts virtually any wired, wireless or broadband communication network and service." Indeed, the State Department plans to "triple the capacity of the current Verint system from 30 workstations to 107," according to NextGov. Given the spooky nature of the company, no doubt El Chapo is drooling over the prospect. As James Bamford pointed out in The Shadow Factory and in a series of recent articles in Wired Magazine, "Verint was founded in Israel by Israelis, including Jacob 'Kobi' Alexander, a former Israeli intelligence officer. Some 800 employees work for Verint, including 350 who are based in Israel, primarily working in research and development and operations." As Antifascist Calling disclosed back in 2008 (see: "Thick as Thieves: The Private (and very profitable) World of Corporate Spying"): "When Comverse Infosys [now Verint] founder and CEO Jacob 'Kobi' Alexander fled to Israel and later Namibia in 2006, the former Israeli intelligence officer and entrepreneur took along a little extra cash for his extended 'vacation'--$57 million to be precise." Alexander, a veteran of Israel's ultra-secretive Unit 8200, the equivalent of America's National Security Agency, fled to Namibia because he faced a 32-count indictment by the Justice Department over allegations that he masterminded a scheme to backdate millions of Comverse stock options which allowed the enterprising corporate grifter to embezzle some $138 million from company shareholders. As I wrote back then, "despite alarms raised by a score of federal law enforcement agencies, including the Drug Enforcement Agency (DEA), fearful that sensitive wiretap information was finding its way into the hands of international narcotrafficking cartels, virtually nothing has been done to halt the outsourcing of America's surveillance apparatus to firms with intimate ties to foreign intelligence entities. Indeed, as America's spy system is turned inward against the American people, corporations such as Verint work hand-in-glove with a spooky network of security agencies and their corporatist pals in the telecommunications industry." But as we know, software and the spy trojans embedded in their code are "neutral." What can be used by law enforcement agencies such as Mexico's Secretaría de Seguridad Pública (SSP) and the Agencia Federal de Investigación (AFI) can also be handed over by corrupt officials to their presumed targets, the Sinaloa, Gulf, Juárez, Knights Templar, Tijuana or Los Zetas narcotrafficking cartels, all of whom have ties to Mexico's narco-bourgeoisie, police and the military. It wouldn't be the first time that "retired" Israeli military officers or "ex" Mossad men were exposed as trainers for some of the drug world's most notorious killers. Nearly a decade ago, investigative journalist Jeremy Bigwood revealed in Narco News that drug gangster and far-right political actor Carlos Castaño, the future founder of the blood-soaked Autodefensas Unidas de Colombia, or AUC, "was only 18 years old when he arrived in Israel in 1983 to take a year-long course called '562.' Castaño, a Colombian, had come to the Holy Land as a pilgrim of sorts, but not to find peace. Course 562 was about war, and how to wage it, and it was something Carlos Castaño would eventually excel at, becoming the most adept and ruthless paramilitary leader in Latin America's history." Bigwood reported that Castaño's IDF trainers emphasized instruction in "urban strategies," which included the use of fragmentation grenades, RPG-7s as well as "complementary courses" on terrorism and counter-terrorism. Narco News informed us that "not all was study for Castaño in Israel, and he used his free time to meet with Colombian soldiers undergoing regular military training there--soldiers of the worst human rights violators in the western hemisphere were being trained by some of the worst human rights violators in the Middle East. But these were precisely the connections that would prove so useful in the future." A future that encompassed the wholesale massacre of Colombian peasants, union organizers and left-wing activists as the AUC, a wholly-owned subsidiary of the CIA-anointed Cali cartel, founded by Iran/Contra drug kingpins, the Rodríguez Orejuela brothers, engaged in a brutal war to the death with Pablo Escobars' Medellín cartel in the 1990s. According to declassified CIA, DEA and State Department documents published by the National Security Archive in 2008, "U.S. espionage operations targeting top Colombian government officials in 1993 provided key evidence linking the U.S.-Colombia task force charged with tracking down fugitive drug lord Pablo Escobar to one of Colombia's most notorious paramilitary chiefs." Documents published by the Archive "include two heavily-censored CIA memos describing briefings provided by members of a 'Blue Ribbon Panel' of CIA investigators to members of U.S. congressional intelligence committees and the National Security Council. The Panel--which included personnel from the CIA's directorate for clandestine intelligence operations--had been investigating the possibility that intelligence shared with the Medellín Task Force in 1993 ended up in the hands of Colombian paramilitaries and narcotraffickers from the Pepes. That investigation concluded on December 3, 1993, the day Escobar was killed." "The collaboration between paramilitaries and government security forces evident in the Pepes episode is a direct precursor of today's 'para-political' scandal," said Michael Evans, director of the National Security Archive's Colombia Documentation Project. "The Pepes affair is the archetype for the pattern of collaboration between drug cartels, paramilitary warlords and Colombian security forces that developed over the next decade into one of the most dangerous threats to Colombian security and U.S. anti-narcotics programs. Evidence still concealed within secret U.S. intelligence files forms a critical part of that hidden history." While both the Cali and Medellín cartels have faded into history, cocaine processed on an industrial scale continues to flood out of Colombia and other "legs" of the Crystal Triangle. Control over that distribution network, worth hundreds of billions of dollars annually, much of which finds its way into U.S. banks, is the source of the bloodshed currently tearing Mexico and Central America to pieces. Is history repeating itself when it comes to favoring one drug gang over another? The answer is yes. According to a 2010 National Public Radio report, "an NPR News investigation has found strong evidence of collusion between elements of the Mexican army and the Sinaloa cartel in the violent border city of Juarez." "Dozens of interviews with current and former law enforcement agents, organized crime experts, elected representatives, and victims of violence suggest that the Sinaloans depend on bribes to top government officials to help their leader, Joaquin 'El Chapo' Guzman, elude capture, expand his empire and keep his operatives out of jail." Sound far-fetched? As Bill Conroy reported last year in Narco News, court pleadings in the case of accused Sinaloa capo Jesus Vicente Zambada Niebla "demonstrate the insidious nature of the cooperation that exists between the US government and Mexico’s Sinaloa mafia organization." "According to Zambada Neibla, he and the rest of the Sinaloa leadership, through the informant [Humberto] Loya Castro, negotiated a quid-pro-quo immunity deal with the US government in which they were guaranteed protection from prosecution in exchange for providing US law enforcers and intelligence agencies with information that could be used to compromise rival Mexican cartels and their operations." "The alleged deal," Conroy averred, "assured protection for the Sinaloa Cartel's business operations while also undermining its competition--such as the Vicente Carrillo Fuentes organization out of Juarez, Mexico, the murder capital of the world." Inquiring minds can't help but wonder why, if Zambada Neibla's allegations are so much hot-air, would U.S. prosecutors invoke "national security" under provisions of the Classified Information Procedures Act (CIPA) "in his trial in an attempt to assure certain sensitive and/or embarrassing evidence is not made available to Zambada Niebla's attorneys"? As Narco News disclosed, "Perhaps any deal that might exist between the Sinaloa leadership is limited to Chapo Guzman and Ismael Zambada, perhaps it was put in place by a US intelligence agency under the guise of law enforcement, or through some secret pact cobbled together by the US State Department that does not have to be honored by the Justice Department because it applies only in Mexico. In this case, the devil is in the details, and in all those scenarios, the cloak of national security could easily be invoked to prevent evidence of the pact surfacing in a court of law." With hundreds of billions of dollars at stake and a "drug war" that favors one group of cut-throats over another to obtain leverage over corrupt politicians, along with an endless source of funds for intelligence-connected black operations, the Verint deal seems like a slam-dunk. After all, with powerful communications' intercept technologies in the hands of the Mexican secret state, "national security," on both sides of the border, is little more than code for business as usual. All the better to eat you with, my dear. "A niece of former the Colombian president Álvaro Uribe and her mother are awaiting extradition to the US over claims they had ties to the world's most wanted drug lord. Ana Maria Uribe Cifuentes and her mother, Dolly Cifuentes Villa, were arrested last year after a request from a US federal court for alleged ties to the head of Mexico's Sinaloa Cartel, Joaquín "El Chapo" Guzmán. A researcher and activist based in the San Francisco Bay Area. In addition to publishing in Covert Action Quarterly, Love & Rage and Antifa Forum, I am the editor of Police State America: U.S. Military "Civil Disturbance" Planning, distributed by AK Press. Free the San Francisco 8!